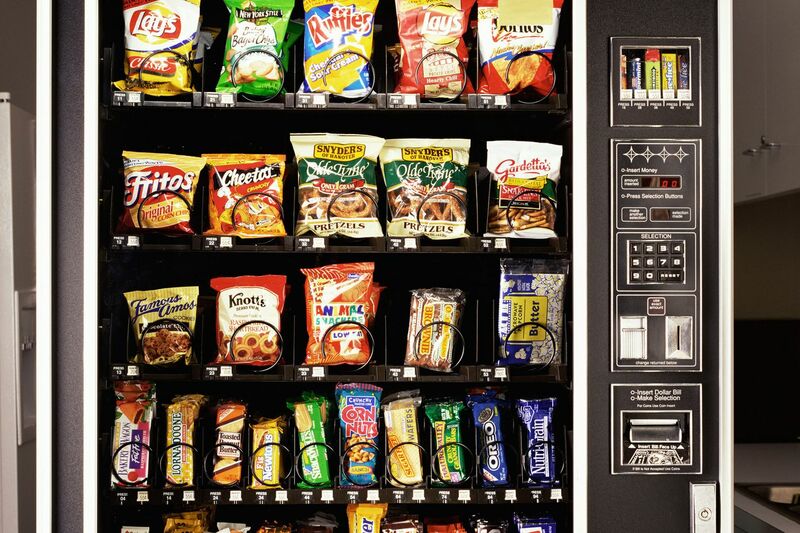 Vending machines are simple. You view the choices, decide what you want, put your money in the slot, press the button, and, immediately, you get just what you ordered. Simple. Prayer is usually more complicated. Usually. But not always. Sometimes; every once in a while; prayer works just that simple. I was talking with a friend about prayers, answered and unanswered. He asked me if I ever had an experience of an immediate, direct, and unmistakable answer to a prayer– you know, like a vending machine. I said “Yes, I think so;” and he said he did too. This is his story. He was in the middle of one of those very busy days when he didn’t know how he was going to get it all done. He was racing to his car to get to his next obligation in time, reached in his pocket, and his car keys were not there. He had them just a little while ago, so he knew they weren’t in the car. He frantically checked all his pockets, looked through his briefcase, went in and checked the room where he just had a meeting, and then, hurried back out to the car. The keys were nowhere to be found. He again walked all around the car, and this time even got down on his knees and looked under the car. No keys. He did not know what to do next. He was still on his hands and knees, and there he closed his eyes for a silent desperate prayer: “Lord,” he said, “You know what I all have to get done today. I need those keys. Please, help me find them so I can get going.” He opened his eyes, and there were the keys, right ahead of him, right where he had just been looking before he closed his eyes for that prayer. Simple. Is that how prayer usually works for you? Probably not. Usually not for me either. But one time it did. Here is my story. For about a five year period when I was in my 40s I was afflicted by severe migraine headaches. I would get about one a month, and they always followed the exact, same pattern. I would be awakened by the beginning of the headache pain at 3:30 in the morning. The headaches always came at night, and always started at 3:30 a.m. Within a half hour, my head was pounding, the pain was at about a level nine or ten, and I had three hours to go, all the while wishing I could just die. Sleep was impossible; I could not even lay down. I would sit in a chair and wait for it to pass. By the chair I had a pail, because I knew that at about 7:00 a.m. I would be nauseous and vomiting. Then, I would slowly begin to recover, but I was always run-down and weak for the rest of the morning. It was always the same pattern, and no pills or prescriptions gave any relief. The migraine just had to run its course. When I woke up at 3:30 with that kind of pain, I knew what I was in for—every single time. Except once. One morning, at 3:30 sharp, I was awakened by the first signs of that usual routine. As it worsened, I began to panic. I was used to enduring the ordeal, but this day I did not have time for it. I had a mid-morning funeral, I was not yet done with my sermon, and I also had an important meeting. I had to be there, and I could not call in sick to anyone. I prayed a desperate prayer. I said, “Lord, I cannot be sick today. For whatever reason, you have allowed me to be afflicted by these headaches, and I do accept them as one of my crosses to bear in this life. But not today. I cannot be sick today. You have to take this pain away.” And God did. For the only time in that several year period, the migraine headache did not run its usual, predictable course. The pain decreased, I went back to sleep, and I was fine for the day. Simple. Just like a vending machine. Right? No, not right. That time, yes, but usually not. Prayer is, of course, more complicated. First of all, that was not the only time I ever prayed to be relieved of the pain of those migraines. It was probably the time I was most desperate, and needed to be well more than any other time. But I had prayed during other headaches, though at no other time did my prayer alleviate my headache pain. I also prayed to be completely free from migraine headaches. And now I am free. I have had no more of that monthly headache routine for several years. Is that an answer to prayer, or just the result of a change in my body chemistry? I don’t know. And why did God answer my prayer just that one time, and not all those other mornings? I don’t know. Understanding how prayer works is indeed much more complicated than understanding how a vending machine works. O Lord, you know what is best for me. Let this or that be done as you please. Give what you will, how much you will, and when you will. Amen.